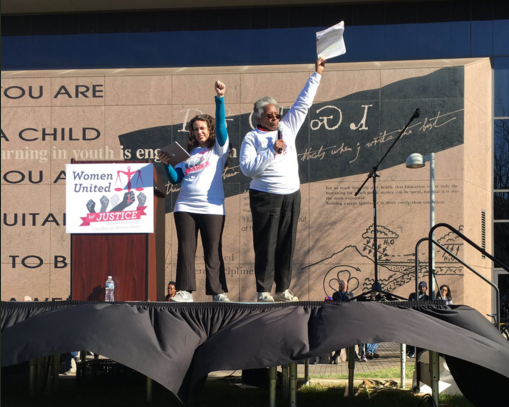 Quotes from some of the speakers and performers at the 2019 Raleigh Women’s March. Such impressive speakers and we would prefer to be able to capture each speech and performance, but here are some pearls of wisdom. Performers got their messages across in their own unique ways. Longtime activist Mandy Carter was one of our EmCees and also our speaker on LGBTQ issues. 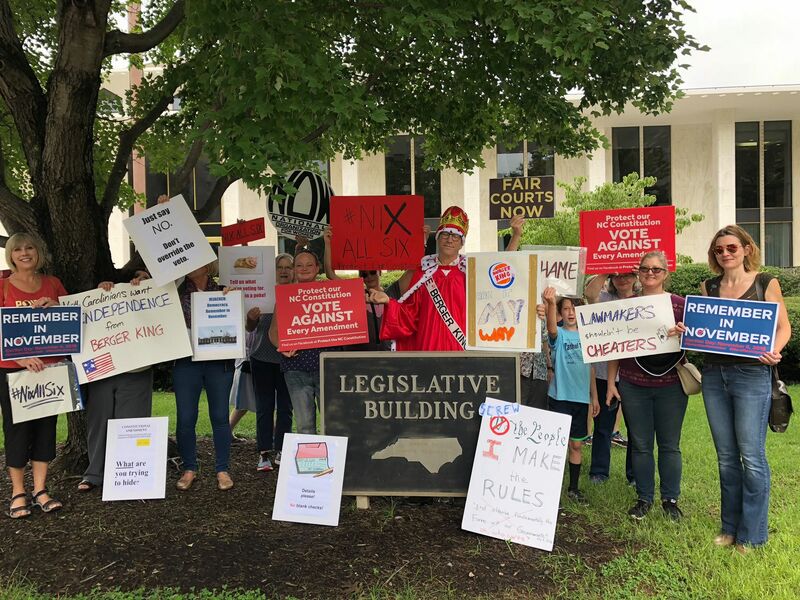 Turnout was great at the events surrounding the lame duck special session called by the NC Legislature months ago in anticipation of being able to implement some or all of the constitutional amendments they created. 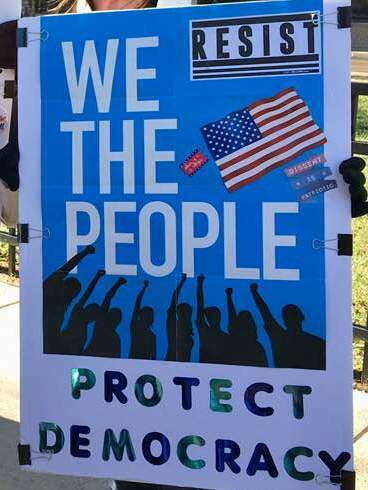 Many organizations worked together to expose what they are doing with a press conference on 11/27/18, at 10:45am, and then moving people into the galleries of the NC House and NC Senate. 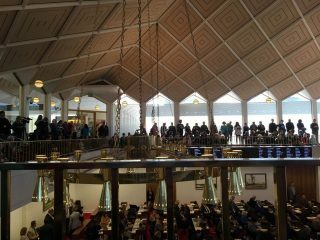 The NC House and Senate sessions were supposed to begin at noon. After the later session, many people gathered in between the two galleries, where Rev. Dr. Spearman of the NAACP spoke, and then we sang together. Some people helped put up tents outside on Halifax Mall and got a chance to eat before a press conference at 1:45 pm to expose the continued terrible conditions some of the Hurricane Florence survivors still face. As Rev. Barber said during the first press conference, the only thing the special session should address is Hurricane Florence recovery. Here are some pictures and descriptions of the day. Also see the video and article at the News and Observer here. Meanwhile, the new voter ID bill is moving fast through Legislature. The NC Legislature called this special session months ago in anticipation of being able to implement some or all of the constitutional amendments. Many organizations are working together to expose what they are doing. Events are planned in and around the Legislative Building at 16 W. Jones St on Tuesday, Nov 27, 2018. Please come to some or all if you can, or just come to witness the legislature’s actions, and make sure they know we care and are watching. August 2018 protest of constitutional amendments and yet another special session at Legislative Building in Raleigh. What’s Next With Constitutional Amendments in NC (2018)? Four of the six constitutional amendments passed in the 2018 midterm elections in North Carolina (11/6/18). Thank goodness, the two explicit power-grabbing amendments failed. As you may remember, NC NOW could not endorse any of the amendments since they were basically blank checks for the legislature to implement whatever they want, and also because they were passed with no public input or expert testimony. We had a statement to this effect on our endorsement flier, also found here at the bottom of the yellow page. The NC legislature convenes a special session on Tuesday, Nov 27, 2018, to implement the constitutional amendments like voter id in the last few weeks of the Republican supermajority. These are some things we can do to try to block some of the damage.